Virtually every HR department is looking to streamline their document management to eliminate the costs of time and resources involved with shuffling papers throughout the office. How many pieces of paper does your human resources department have to have on hand for every employee in your company? From mandatory paperwork required by state or federal regulations to performance reviews and medical information, your personnel files can take up space in your filing cabinets quickly- and that doesn’t even include documents that you use for every day administration. The document management processes for human resource departments is massive- it’s a time consuming process that demands attention to prevent issues from mismanaged or lost files and to keep your office in order. Most states require keeping employee records after an employee leaves, creating seas of filing cabinets that are virtually impossible to manage efficiently. 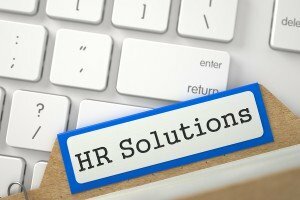 Eliminate time spent on gathering, processing, tracking, and handling your HR files. Record Nations connects you to secure document conversion and electronic document management companies that can handle any size HR Department. All your personnel, hiring, and performance-related files are stored in a centralized, easy-to-use repository that anyone in the department can access quickly and easily. Document scanning and DMS systems offer a seamless integration that allows HR personnel and employees to scan, file, and store documents digitally. What Types of Human Resources Documents Can Our Experts Convert? Indexing and organizing records eliminates hassle and stress, streamlines your file management, and allows you to manage your people- not your paperwork. Our local experts handle any kind of document that you want or need to convert to digital format. This could include paper records and files, microfilm, microfiche, large-format scanning and more. These are just a few examples of the types of files we can help you convert. Our goal is to connect you with a provider that is a one-stop-shop for all your document conversion and document management needs. To get a free quote today, give us a call or fill out the form to the right! HR Departments should be all about their people- not about the paperwork. Record Nations’ document management experts will eliminate the need to be concerned about complying with the countless regulations and reporting requirements for your company. Here are some of the services our local document management professionals provide! Document Scanning and conversion is the first consideration for your department. Document scanning allows you to transfer paper documents to digital, index them so you can access and retrieve them easily, and converts them to editable digital files so you can update them as needed. Reduce the time it takes to process claims, get instant access to status and location of all candidates and employee records in your system, and minimize recruiting and hiring costs with human resources document scanning through Record Nation’s nationwide network of providers. They also offer day-forward human resource records scanning of new-hire documents. How long does it take you to pass just one performance review or potential employee through your system? Our document management experts can help automate your processes so expense reports, vacation requests, hiring and interview requests, and performance reviews are routed to the right person in the process instantly with one click rather than 5 phone calls. Simplifying your workflow will free up hours of time to let you focus on other important tasks- get a free quote today! Personally Identifiable Information is what Human Resources is all about. From I-9s to medical records, social security numbers to tax information, HR departments could be a huge target for identity thieves. 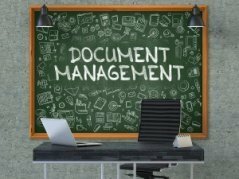 Digital document management can help you manage your security concerns better. 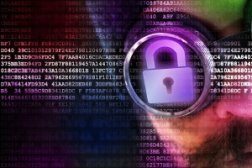 From version control to security clearance levels, all your data and converted files can be encrypted and protected from prying eyes and lower-level employees. Don’t fall victim to a low-tech hack just because you have too many paper files to manage. Go paperless with the active documents that you use now, and use an offsite records storage facility to eliminate the chance of any personnel records falling into the wrong hands. If you include medical records and personal information in your employee files, there are state and federal requirements to protect that information. Be sure that you comply with HIPAA, HITECH, ADA, EEOC and any state or federal regulatory compliance with a secure document management system. 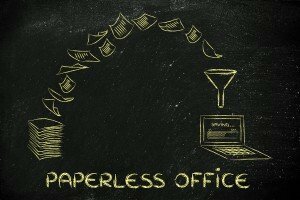 A paperless office will help your HR Department streamline their processes. Use Record Nations to find an expert to help convert your records to digital and save time, space, and headaches related to hard-copy document management. Get Free, No-Hassle Quotes on Document Management for HR Departments Today! Get free quotes that will connect you to a local scanning and document management provider that can scan any document or file and provide you with an easy-to-manage system that allows you to find any contract, RFP, or vendor agreement quickly and easily. To receive a free quote on scanning services in your area today, fill out the form to the right, or give us a call at (866) 385-3706.